Looking for Aluminium Window Frames? 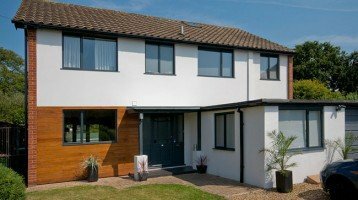 Cheam’s aluminium windows, offer the very latest in security and energy efficiency offer you all the advantages of PVCU. Add the benefit of slim sight lines, built-in strength, greater glass area and a wide choice of designs, colours and finishes. Available in over 200 polyester powder coated colours including textured and wood-effect powder coated finishes. Aluminium is the perfect product if you are looking for a quality, hand assembled window to suit either your traditional or modern home. 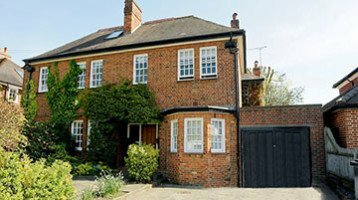 Cheam Steel Replacement Windows available as a direct replacement for your old steel windows are almost indistinguishable from the originals and beautifully hand made to enhance your home. Our aluminium windows are also suitable for properties in coastal or similar environments, available as sliding sash windows, tilt and turn, pivots and much more. Cheam Windows in Aluminium allow you to let even more light into your home, using the slimmest possible profiles. Independently tested and proven to exceed the requirements of the latest Building Regulations using standard glazing units. In very cold climates you can achieve even greater insulation using optional high performance glass. Aluminium’s low thermal expansion and built-in strength mean that the frames and casements of our doors and windows fit together precisely and will stay weatherproof. Our windows have also been successfully installed in listed buildings. You can choose the profiles for the outer frame as well as the window bars, leaded light effects, stained glass units and other features that best enhance your home. You can even mount them into timber sub-frames if desired, giving you the benefits of aluminium windows and doors in older traditional buildings. We designed these products as a complete range of windows, some of which are available with the popular ‘softline’ ovolo frame feature. Our range been awarded the BS 7950 Kitemark for high security for domestic casement windows.